Integrated Ventures (INTV) has reinvented itself as a pure play on bitcoin mining. Earlier this year INTV set up a wholly owned subsidiary BitcoLab to focus exclusively on setting up bitcoin mining operations. Their approach seems to be very measured and thoughtful because they are starting out small in order to prove the concept out with a 1000 SF warehouse and then expanding to a 10,000 SF warehouse with solar panel roof. They have a diversified coin strategy and are mining Bitcoin, Etherium, and Litecoin. They have also taken a number of calculated measures to improve the company structure with only 40 million authorized and a significantly strengthened the balance sheet it positions them well for future growth. The company is cash flow positive after the mining rigs started last week. There is also a hint of a vertical integration strategy that may lead to other acquisitions. The company is also breaking new ground as one of 2 publicly traded bitcoin mining companies. Bitcoin mining operations seem simple on the surface and most think you need power and need some mining units. If we translate this into an analogy its equivalent to gold panning on a river. It’s not very efficient. Bitcoin mining is far more complex and you want to select a bitcoin miner that has streamlined operations and is getting ever last ounce of productivity out of the operation. Whichever bitcoin miner has the most powerful machines has an advantage over others. What this means is that the miner needs to have the latest mining equipment. Believe it or not by the time the miner gets delivery of his equipment it’s almost obsolete. A miner need to find a way to optimize his mining rigs by selling the low performing ones and replacing them with the most advance models while optimizing the return on investment. Power is also a bit factor so getting a renewable source of energy like solar would reduce the cost of minding. Another factor is the volatility in the bitcoin market. A good miner will have a trader that takes advantage of this volatility or hedges the risk. Mining equipment can break so contingency planning and manning the downtime is another very important factor in operations. Another consideration is that miners operate together as part of mining pools and switching between pools to optimize the yield is part of the game as well. The cool thing is that you can measure their efficiency by their yield and the numbers are in real time. Does INTV have the secret sauce? INTV is taking its mining expertise and also investing in building a brand name as a manufacturer by launching it is own brand – Nemesis. The company had launched its own On the manufacturing side of the business, the company imports all major components from Taiwan and casings from China and does the final assembly in the United States. The issue with most mining units is related to power consumption. Some units switch themselves off if they get too hot but then they aren’t mining either. If the units aren’t regulated properly they could meltdown. Other issues include upgrades of firmware can sometimes stop the miner from performing. Another huge factor for buying USA made mining rig is customer and warranty service. The company’s most advanced and profitable GPU based miner is Nemesis 8G, now available for sale from their website (www.bitcolab.io) for $3495.00. It comes with a 6 month warranty on parts. Most mining units that come direct from China come with limited manufacturer’s warranty which is very tough to use. The final assembly is done in the USA where it is also tested for proper working condition. In addition, the company also acts as a factory authorized distributor for BitMain Technologies and InnoSilicon Technology LTD. The company also offers hosting and can switch between Bitcoin, Litecoin and any other cryptocurrency for private blockchain mining. Bitcoin Mining is very competitive and the reward which currently sits at 12.5 Bitcoin per block goes to the first miner to solve the algorithm. Based in math the miners’ probability of solving for the block is equal to their proportion of the mining power of the network. By pooling resources the miners have a better chance of getting the block. The newly constructed 10,000 Sg Ft Mining Facility is being designed for 500 unit Solar Cell installation, valued at $150,000. No miners have executed on this concept but Genensis Mining located in Iceland, is using geothermal power. Going Solar is just common sense. Electric power is the largest operational expense, so lowering the cost of energy will enhance the yield of the bitcoin mining operation. The concept of the Mobile Mining Center (MMC) is being developed. MMC is essentially a cargo container that contains mining units racks, ac, ventilation and power and can be dropped anywhere near a power supply. These Mobile Mining Centers will allow INTV to form joint ventures with local businesses by simply dropping MMC’s on unused portions of real estate withy INTV managing the day to day operations. Thus, INTV would get a % cut of the mining operations while building out its own bitcoin mining network in the process. In the summer of 2016, the company had sold its wholly owned subsidiary called Viva Entertainment Group (OTTV) in exchange for a $106,000 convertible promissory note, which gave it the right to convert the stock at a 50% discount to the market price. In February of 2017, the company was in a position to liquidate this holding and to build a war chest of cash. The sale of its OTTV convertible note had generated a net proceeds of $551,800 which was used to launch bitcoin mining operations. In addition, the company had licensed its EMS Find Platform to EpicMD, LLC for 3% of the gross software revenues. The company has strong underlying assets. From the latest quarterly report the cash and marketable securities totaled $208,094. They also have $281,457 of very liquid mining units that produce revenue. In the rear future, they have 55,555,555 shares of OTTV common stock that comes off restriction on January 3, 2018 that has a current market value of $112,901. In total, these assets add up to $602,452. In their research and testing facility, according to the company, INTV has received and installed 50 mining units that produce about $21/day of bitcoin. Assuming a slight increase in the price of bitcoin it will throw off at least $400,000 in revenue in the coming year. Assuming, they did nothing else that should put them at $1.0 mil in assets in a year and that’s making the assumption that Bitcoin doesn’t double or triple in price, like it has done in the past 4 months. There are 8,288,337 shares outstanding out of 40 mil authorized with a negligible convertible debt amount. The float is quite tight at 6,959,467. With a current market capitalization at $.10 of $828,833, this ticker seems to be trading at a discount to future next year’s cash and represents a very interesting investment opportunity. The marketplace for Bitcoin Miners is very fragmented. The largest names are Antpool, BitFury, KnC Miner HEX Ming then there are cloud miners like Genesis Mining BitClub Network Bitcoin Miner Hosting. No significant mining deal purchases but the space is getting very fragmented which will eventually lead to consolidation. Pools that work together are awarded with more bitcoin so this consolidation has to happen and INTV with a public vehicle could be at the forefront of this movement as smaller miners look to INTV as the logical choice to grab a larger share of the hash rate. Ready to start booking 1+ mil in annual revenues with estimated 700+k EBIDA. It should trade in tandem with Bitcoin and alt coin market but with less volatility akin to the gold stocks versus the price of gold. Some other stocks in the bitcoin eco system like the ATM companies and exchanges that feed off the bitcoin eco system should be less sensitive to the price of bitcoin. Other stocks that provide services like ICO’s or providers of news win from acceptance of bitcoin versus dealing with the commodity itself. The market has not awakened to this stock and therein lies the opportunity. The stock trades at a significant discount to its future cash price. They have an incredible growth vehicle that includes hosting bitcoin and ties it in with financing. Their new solar powered mining facility is sure to keep them profitable in the foreseeable future. The company has shares available to use their stock as currency to make acquisitions in a sector ripe with acquisition candidates. The company provides mining units for sale and could make handsome margins. Then there is additional investment income that has served them well. 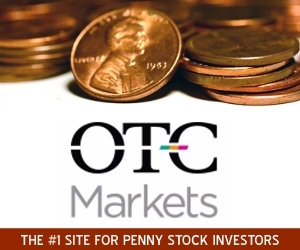 INTV is a bitcoin ecosystem stock that is vertically integrated from the ground floor up. Disclosure/Disclaimer – This article is a paid advertisement, not a recommendation nor an offer to buy or sell securities. 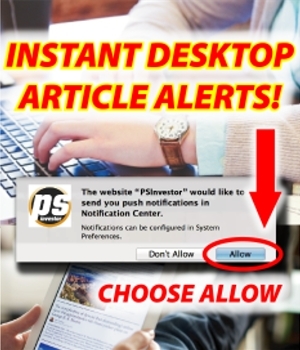 This article is owned, operated and edited by PSInvestor.com. Any wording found in this e-mail or disclaimer referencing to “I” or “we” or “our” or “PSInvestor” refers to PSInvestor.com. Our business model is to be financially compensated to market and promote small public companies. By reading our articles and our website you agree to the terms of our disclaimer, which are subject to change at any time. We are not registered or licensed in any jurisdiction whatsoever to provide investing advice or anything of an advisory or consultancy nature, and are therefore are unqualified to give investment recommendations. Always do your own research and consult with a licensed investment professional before investing. This communication is never to be used as the basis of making investment decisions, and is for entertainment purposes only. At most, this communication should serve only as a starting point to do your own research and consult with a licensed professional regarding the companies profiled and discussed. Conduct your own research. Companies with low price per share are speculative and carry a high degree of risk, so only invest what you can afford to lose. By using our service you agree not to hold our site, its editor’s, owners, or staff liable for any damages, financial or otherwise, that may occur due to any action you may take based on the information contained within our newsletters or on our website. We do not advise any reader take any specific action. Losses can be larger than expected if the company experiences any problems with liquidity or wide spreads. Our website and newsletter are for entertainment purposes only. Never invest purely based on our alerts. Gains mentioned in our newsletter and on our website may be based on end-of-day or intraday data. This publication and their owners and affiliates may hold positions in the securities mentioned in our alerts, which we may sell at any time without notice to our subscribers, which may have a negative impact on share prices. If we own any shares we will list the information relevant to the stock and number of shares here. As of this report, we have been compensated $3,750 cash via bank wire by a third party, Resources Unlimited, to conduct investor relations advertising and marketing for INTV for 1 month with the potential for additional coverage until agreement is cancelled. If our coverage is extended, we will update additional compensation to comply with the SEC Rule 17b. PSInvestor’s business model is to receive financial compensation to promote public companies. This compensation is a major conflict of interest in our ability to be unbiased regarding . Therefore, this communication should be viewed as a commercial advertisement only. Any non-compensated alerts are purely for the purpose of expanding our database for the benefit of our future financially compensated investor relations efforts. Frequently companies profiled in our alerts may experience a large increase in volume and share price during the course of investor relations marketing, which may end as soon as the investor relations marketing ceases. The investor relations marketing may be as brief as one day, after which a large decrease in volume and share price is likely to occur. Our emails may contain forward looking statements, which are not guaranteed to materialize due to a variety of factors.